Whether you loved or hated Avengers: Infinity War, if you're a fan of the Incredible Hulk then it's tough to not be disappointed by his absence from most of the movie. The Hulk withstands a brutal beating by Thanos before being whisked away to Earth by Heimdall, and that's the last time you see him in his full glory. Bruce Banner tries several times to get his greener half to come out, but the Hulk refuses. At most, we get a few brief shots of the Hulk's face replacing Banner's long enough to yell "NO!" So why is the Hulk shy all of a sudden? Why won't he help with the fight? There are some obvious answers, most of them leading to the trauma of what he endured at the hands of Thanos. But there are some less obvious — and possibly much more likely — answers that fit more with what we know about the Hulk. Fear isn't an emotion usually associated with the Hulk, so the idea that he's refusing to emerge because he's afraid may seem tough to swallow. After all, at the end of Thor: Ragnarok, he was willing to go toe-to-toe with a Godzilla-sized Surtur, even after the demon flicked him away like an annoying flea. But the beating the Hulk suffered from Thanos is unlike anything he's endured before in the movies. 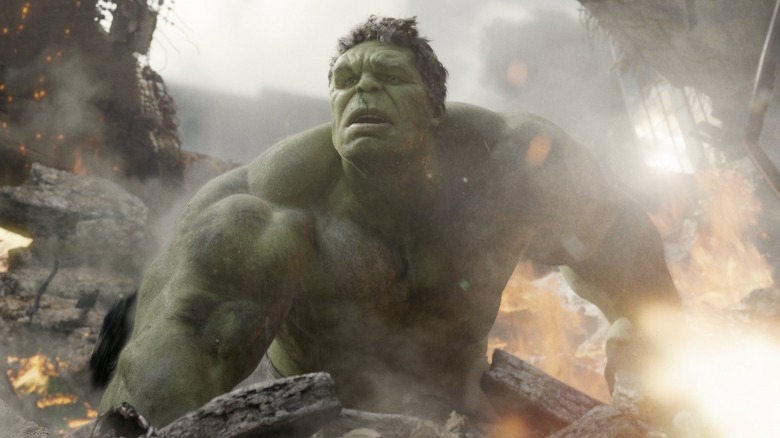 The only other fight the MCU Hulk has lost is his brawl with Iron Man in the Hulkbuster suit in Avengers: Age of Ultron, but he never saw the final punch coming and never had the chance to think about what was happening to him, not to mention that it was a fight he didn't really want. It's possible he doesn't even remember it. But the Hulk's intelligence and awareness has grown since his fight with "Veronica." He knew what was happening as Thanos beat him. It's something he's never experienced before, and he may not know how to handle it. 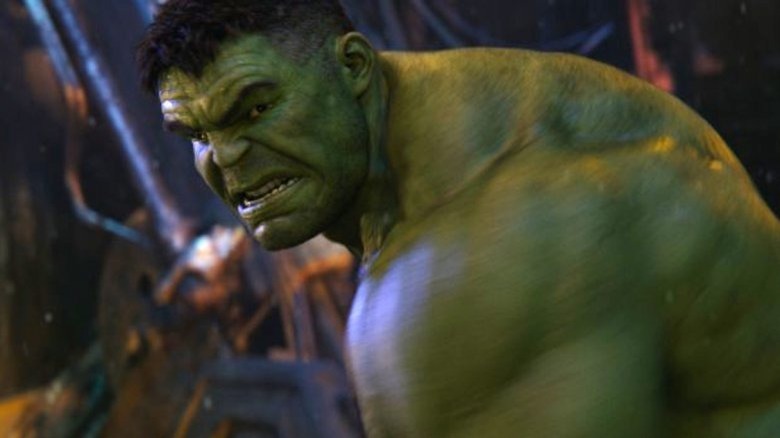 As popular as Bruce Banner's "I'm always angry" line from Avengers has become, the movies have never explored exactly why that rage is always with him. It's possible that directors Joe and Anthony Russo are using Thanos to finally give us a glimpse of that story. 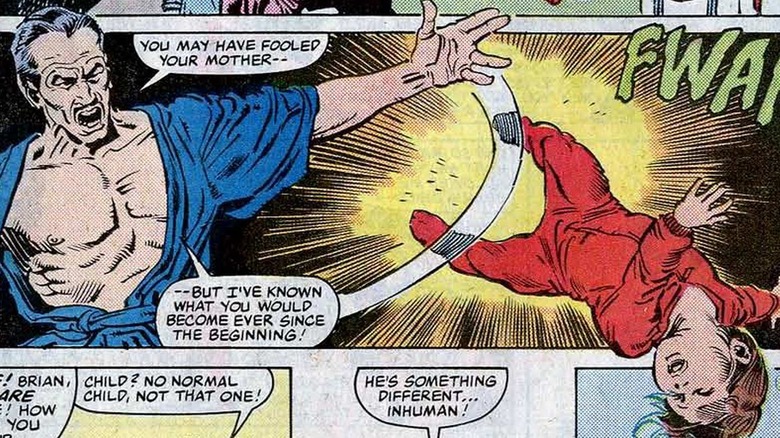 In 1985's Incredible Hulk #312, writer Bill Mantlo wrote a flashback to Banner's younger days, showing that Bruce and his mother Rebecca endured extreme emotional and physical abuse at the hands of Bruce's father. Mantlo essentially told readers that the gamma blast from 1962's Incredible Hulk #1 didn't create the Hulk. The trauma Banner endured created the Hulk — the blast set him free. It's possible that what's stopping the Hulk from emerging in Infinity War is not that the beating he took from Thanos scared him, but that it reawakened the childhood trauma. 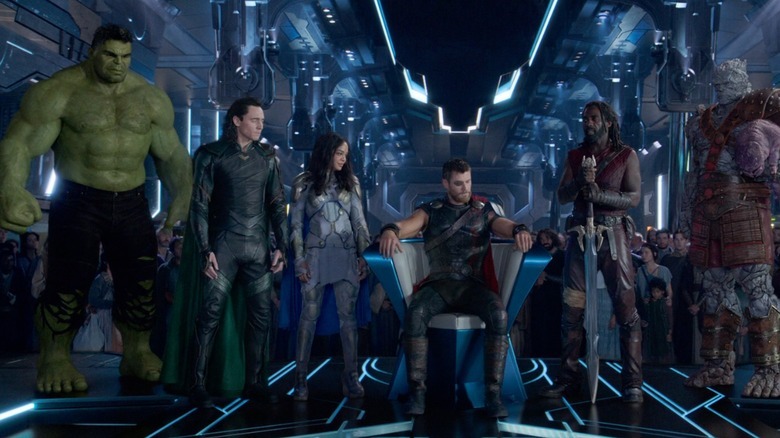 In fact, this could be why a certain bizarre scene was deleted from Thor: Ragnarok. In it, Banner expresses regret at missing his father's death because he was too busy working. In the comics, it was eventually revealed that Banner actually killed his father. 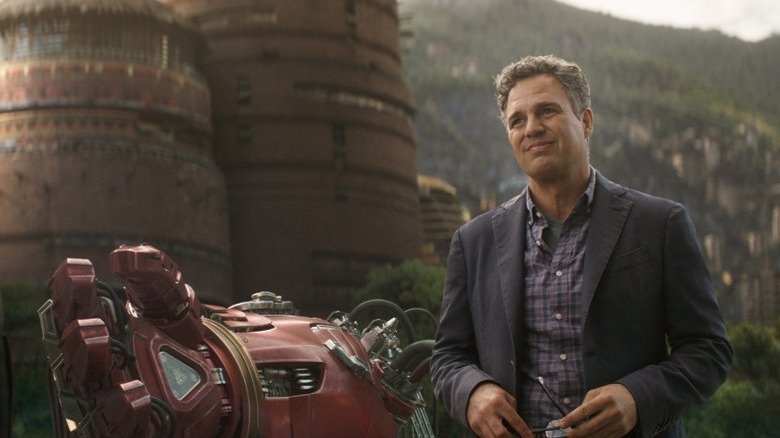 If the Infinity War filmmakers are planning on using the Hulk's refusal to emerge to introduce the abuse backstory, the conversation from the deleted scene wouldn't make sense. Maybe the Hulk isn't scared and maybe the Hulk isn't traumatized. Maybe he's just embarrassed. The Green Goliath doesn't just have the intelligence of a toddler; he has the emotional maturity of one too. The beating he took may have destroyed his confidence. The Hulk has one job: beat the tar out of whoever needs a beating. If he can't do that, then, in his mind, how could he be anything but worthless? It's worth remembering that not only is Banner around other Avengers each time he tries to change into the Hulk in Infinity War, but there's a specific Avenger he's being reminded of — Tony Stark. And who is Tony Stark to the Hulk? Among other things, he's the only guy other than Thanos who's managed to knock him out. The first time Banner tries to change in Infinity War, Tony's right there, urging him to Hulk out. The second time, during the battle in Wakanda, Tony's nowhere to be found but Banner is inside the Hulkbuster armor — the suit that was not only used to give the Hulk one of his only defeats, it was created solely for the purpose of beating up the Hulk. It's possible Hulk's reasons for refusing to fight are less about fear and humiliation, and more about guilt. Right after the Hulk is defeated by Thanos, Heimdall uses his last few breaths to transport Hulk to Earth so he can warn them of Thanos. That means the first time Banner tries to Hulk out, as far as the Hulk knows, he was the only survivor of the Asgardian refugee ship. As far as he knows, Thor, Valkyrie (a.k.a. "Angry Girl" in Hulkspeak), and everyone else is dead. He probably couldn't care less about Loki, but Thor and Hulk formed a bond during Ragnarok and thinking he wasn't strong enough to save Thor from Thanos would be crushing to the Hulk. A number of toy and collectible releases support the notion that it was guilt holding the Hulk back, specifically ones that depict Hulk bursting out of the Hulkbuster suit. If it was originally planned that Banner would finally succeed in transforming into the Hulk while in the Hulkbuster suit, it could be that the plan was to make the revelation that Thor didn't die a catalyst for the Hulk overcoming his guilt. The reason Hulk refuses to emerge may not have anything at all to do with Thanos. Ironically, it may be that he's too damn angry. 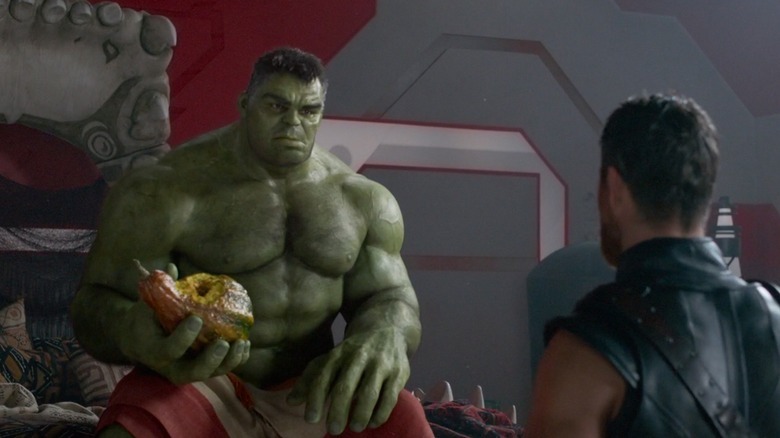 During their first one-on-one dialogue scene together, Hulk tells Thor plainly he has no intention of returning to Earth. "Earth hate Hulk," he tells the thunder god. Thor and the Avengers? They're "Banner's friends." Not his. On Sakaar, the Hulk was treated better than he'd ever been. No one even knew about Banner. People didn't run screaming from him; they cheered him. They had parades for him. They built a huge Hulk face on the planet's tallest building and gave him his own Hulk-friendly hot tub. Why would he want to go back to Earth? Back to Earth, where he was hounded, where he had no friends, and in fact where he was likely still wanted for the death and destruction he caused during the Johannesburg rampage of Avengers: Age of Ultron. Once he was in Greenwich Village, with Tony Stark and other puny humans surrounding him, maybe the Hulk just didn't want to fight to protect the last place he wanted to be. In Ragnarok Bruce Banner was convinced that if he changed into the Hulk, he might never change back. We learn the Hulk had been in control since Black Widow forced Banner to change into the Hulk at the end of Age of Ultron's conclusion and that, while before he always felt he had "one hand on the wheel" when he was the Hulk, during these past two years he felt that the Hulk had taken the keys and locked him "in the trunk." What happens seems to confirm Banner's fears. 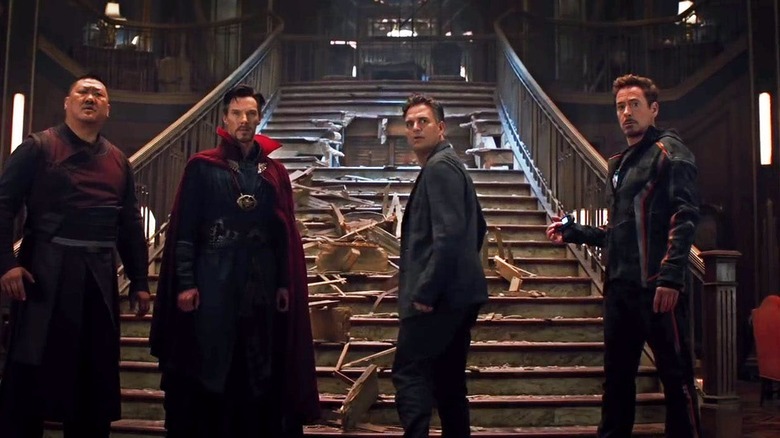 After changing into the Hulk in Asgard, we never see the Hulk change back into Banner until Heimdall whisks him away to Doctor Strange's Sanctum Sanctorum in Avengers: Infinity War. As far as we know, from end of Thor: Ragnarok to the moment he's sent back to Earth, he's green the whole time. During the two years between Age of Ultron and Ragnarok, the Hulk managed to stop himself from changing back to "Puny Banner." He may have been convinced that he was finally free of his weaker half — during those years, the Hulk got to feel in control. Maybe, like Banner, the Hulk thought once he came out in Asgard that would be the end of it and he'd be in charge for good. Now that it's clear that's not the case, maybe the Hulk doesn't feel like being Banner's tool anymore. Maybe if he isn't the only one who gets to play the game, then the game isn't worth playing.